Announcing the Simply Lacrosse Team Manager. We are very proud to release this incredibly powerfull feature of SimplyLacrosse.com. This is a very simple to use web based Team and League management tool that is loaded with features that are unparalleled, and it's very easy to use! Use this powerful management tool to manage your team, multiple teams, or even an entire league. Maintain records from season to season. It is packed with the best scheduling functionality around, and it has without question the nicest integrated photo gallery tool available. Before you register you can take our fully functional demo for a test drive. Your home page is always clean and easy to scan for upcoming events, recent games, bulletins and record! League admin's, team coaches, and team managers can run one or more teams from a SINGLE LOGIN. Once you login, you have one-click access to any of your teams. Incredibly convenient. This is where the action begins. Schedule practices, scrimmages, games, meetings and other events, complete with maps, training drills and other information that blows away any team scheduler you have seen on the Web. You can toggle between the classic and detailed calendar views! Even click and add calendar entries directly to Microsoft Outlook®! You can link your lacrosse team manager calendars from different teams you belong to so they display on one grid, allowing you to easily pick out conflicts. Easily combine multiple team calendars for a league view calendar. 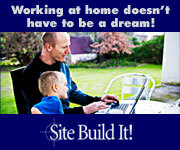 You have never used an easier or more powerful scheduling tool. Our scheduler features integrated maps (that you can update), opponent information, parent duties (e.g. penalty box, scoring) and many others. From one page, you can enter an entire game's stats, including penalties and fouls. Our system automatically calculates the box score! Typical games with full stats can be recorded in fewer than 8 minutes. You can view an easy-to-read summary of scrimmage, tournament or league game records, including scores, opponents, locations and dates. Record is sortable by league games, playoffs, scrimmages and tournaments. Without question the Simply Lacrosse Team Manager has best photo gallery tool around, our photo center allows you to tag photos by game or individual (or both), making it super easy for friends and relatives to find shots of their favorite player or favorite game of the year. Our message center gives coaches and team admin's a great tool they can use to communicate with the entire team or other groups within the teams (parents, players, coaches, individuals etc.). The system also has an urgent bulletin function for last minute schedule changes and other team emergencies. You can also send text messages to the entire team with one click! If you manage a league or more than one team, you will love the Player Mover! You can move or copy any player or other team member to any other team over which you have control. This tool goes hand-in-hand with our team drafting feature. Our roster allows you to search for players and non-players and view jersey numbers and more. Our privacy features allows authorized members to communicate with you, but it keeps your email PRIVATE and free from solicitors and Webbots! Print a full page roster or little "Mini Rosters" suitable for lamination! 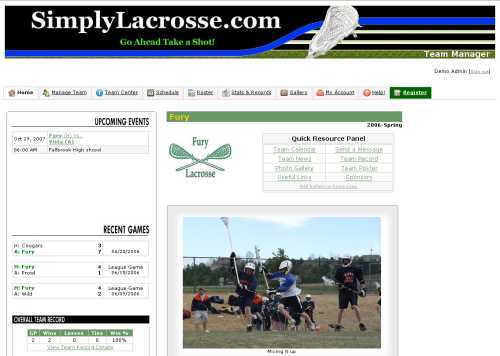 With the Simply Lacrosse Team Manager - Coaches and team managers can post news announcements that automatically remove themselves after a specified date. This feature is great for non-urgent bulletins and congratulatory messages. Easy to use and quick! Upload forms, manuals, releases, spreadsheets or whatever. You can even link documents to specific events. The Simply Lacrosse Team Manager has a penalty/foul tracker that lets coaches know what issues need to be addressed, and with who. Host a custom links page just for your team. Anyone with permission to post can add resources that are one click away from players and parents. Every player gets his or her own profile page with bio information, custom or rotating photo and season stats. Players and coaches can choose whether to display stats.